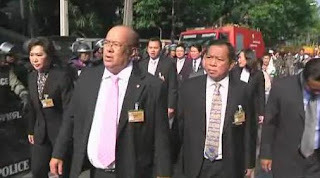 Thailand's red shirts still want parliament to be dissolved and a new election to begin. The Thaksin Alliance arrives and talk to the crowds. 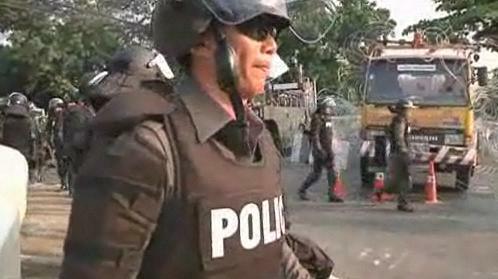 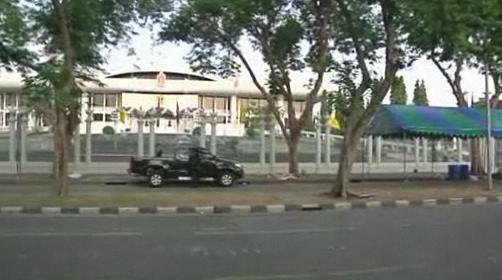 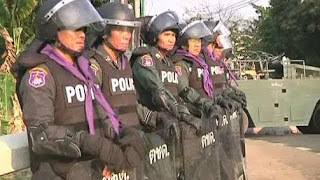 Roads leading to the parliamentary complex have been blocked and barricaded.